Fishing tourism “Le Vie dell’Acqua” (The Route of Water) organizes enchanting and exciting boat tours that increase the value of the beauty and the colture of marshes and the traditions of fishing in the perspective of slow and Eco-friendly tourism. 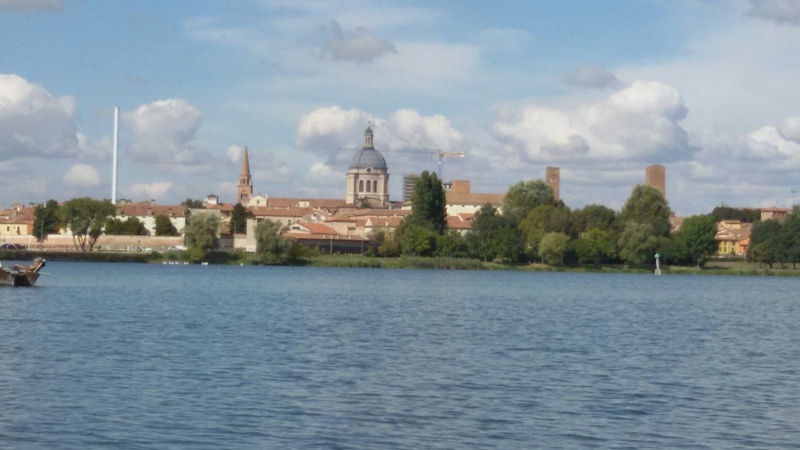 During the trips on lakes “Di Mezzo” and “Inferiore” you will be able to see Mantova and it’s beautiful skyline. You can also enjoy special events. Navigating through the Natural Reserve of Mincio and the Vallazza, you will have a close encounter with the particular flora and fauna of these humid zones. The excursions on the Po River will make you know about the stateliness and che charm of the big river, in the tracts where it is still wild. The is also the possibility of doing birdwatching, making walks, doing picnics in floodplain, poplars and beaches. For those love Sport fishing, Giovanni will guide you. He will be able to provide all the equipment. We give also the opportunity to every-aged children to go to a special fishing school. Every trip is completely customizable depending on route, time, length and stops. For further informations please write us: leviedellacqua@virgilio.it.